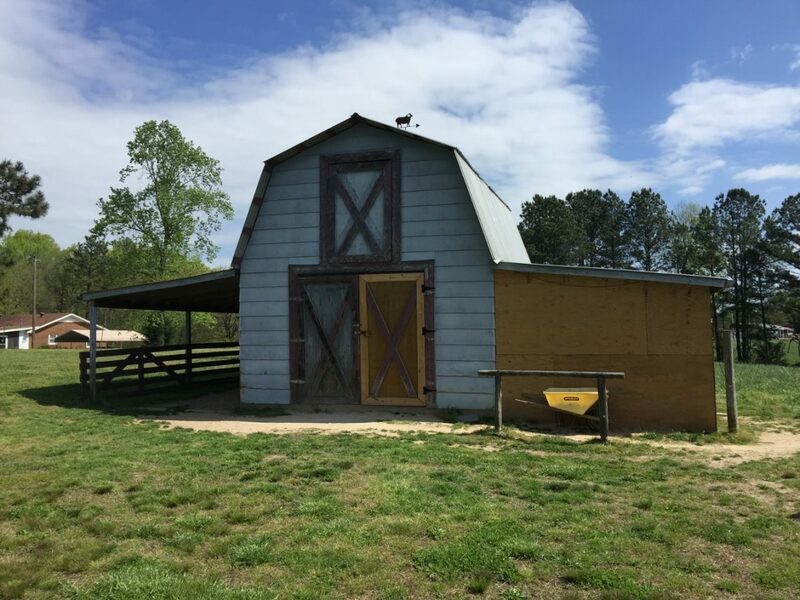 Resident #4 is located in Durham, North Carolina, and was a fun project to be part of. 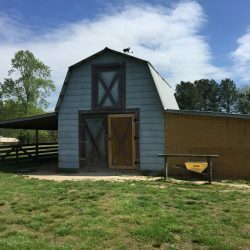 While not only did this project involve a unique shed and water-supply overhang, it also had various exotic animals roaming around, especially with the goats that followed us everywhere to keep us company. 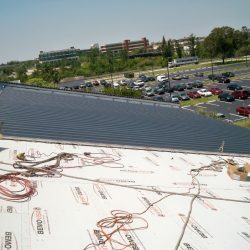 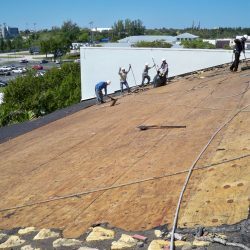 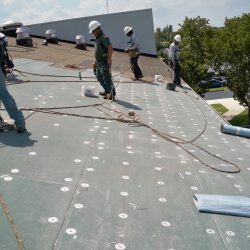 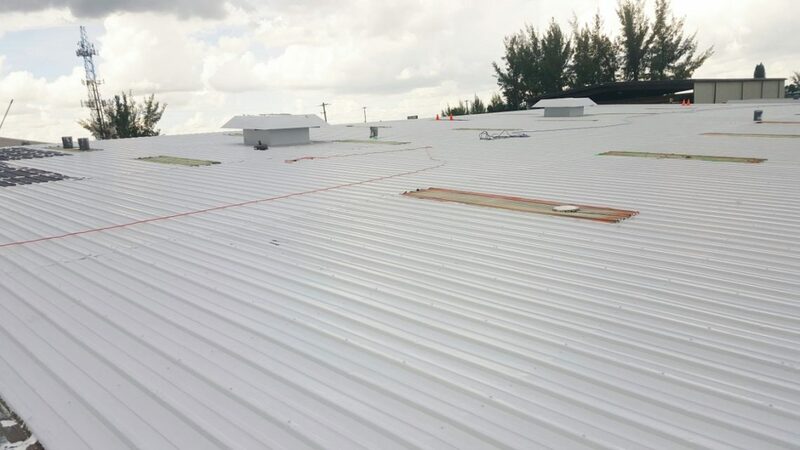 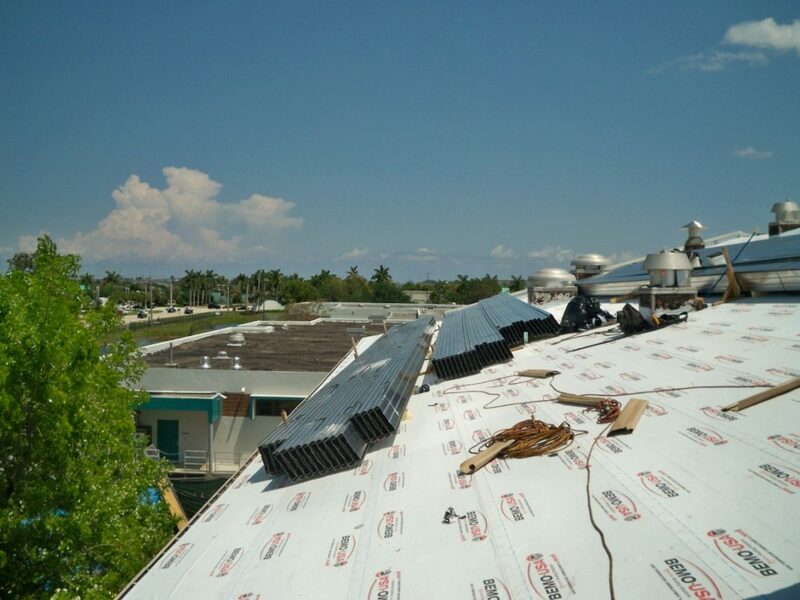 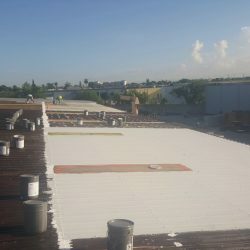 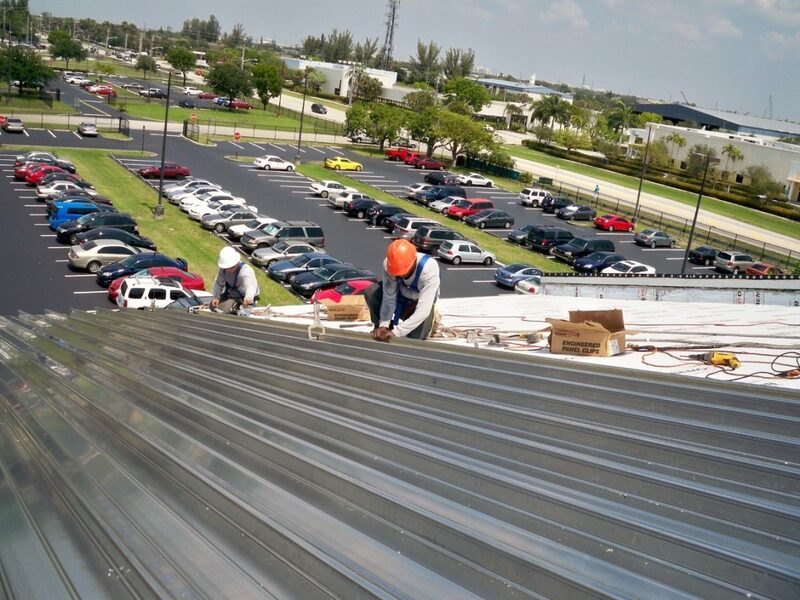 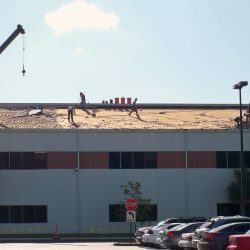 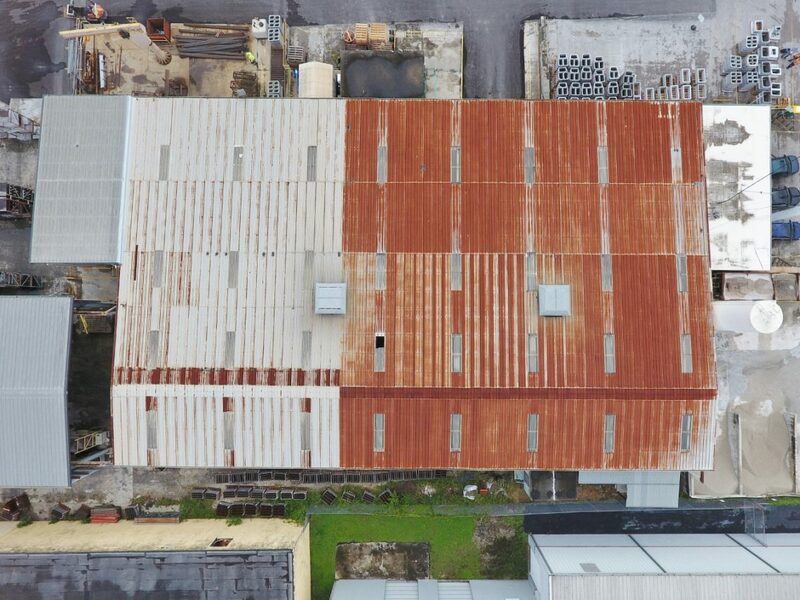 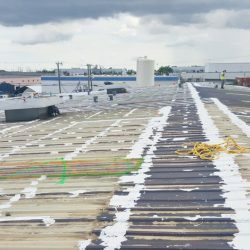 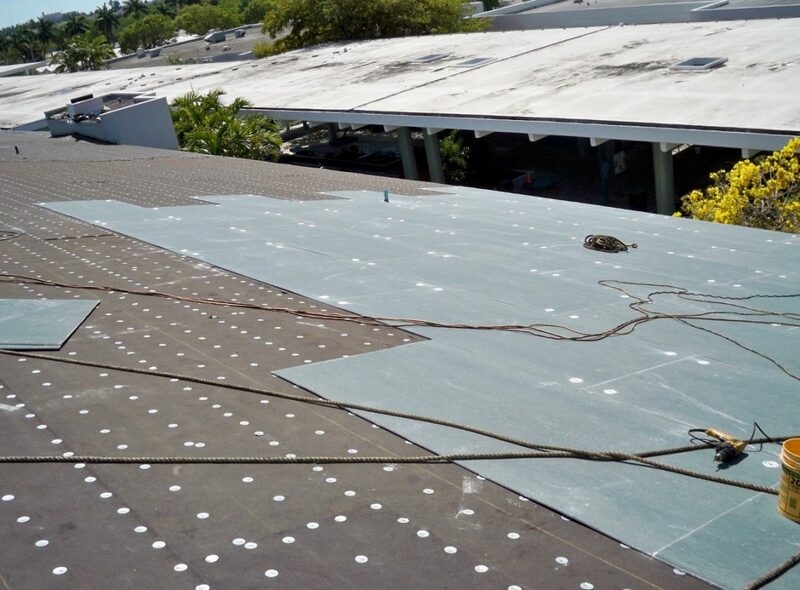 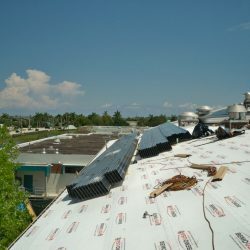 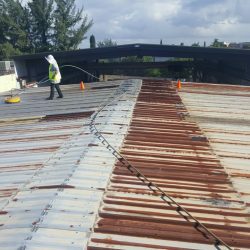 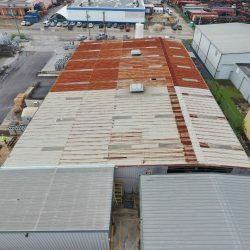 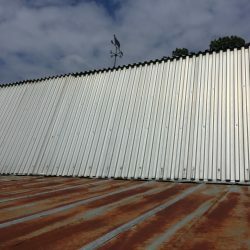 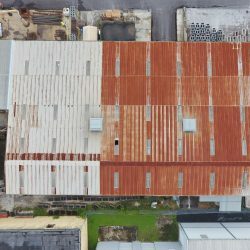 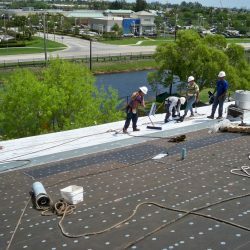 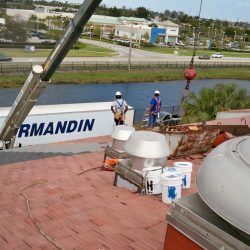 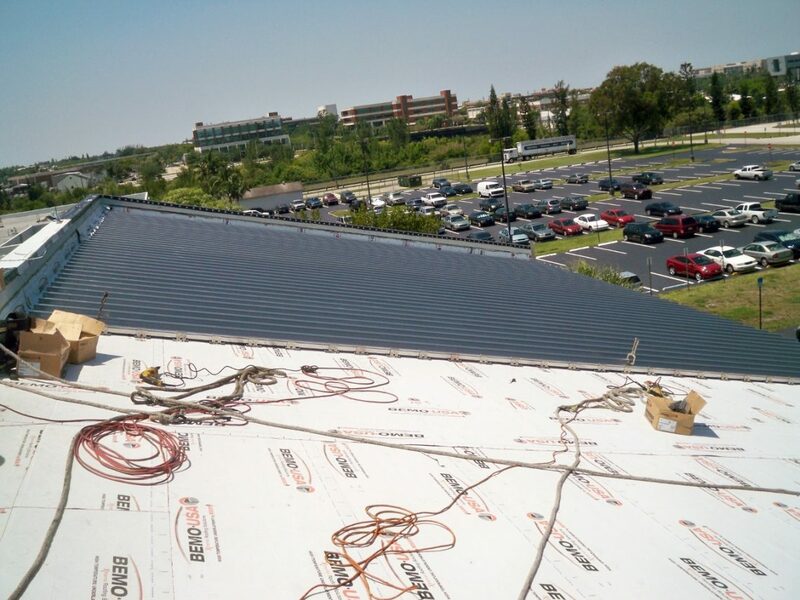 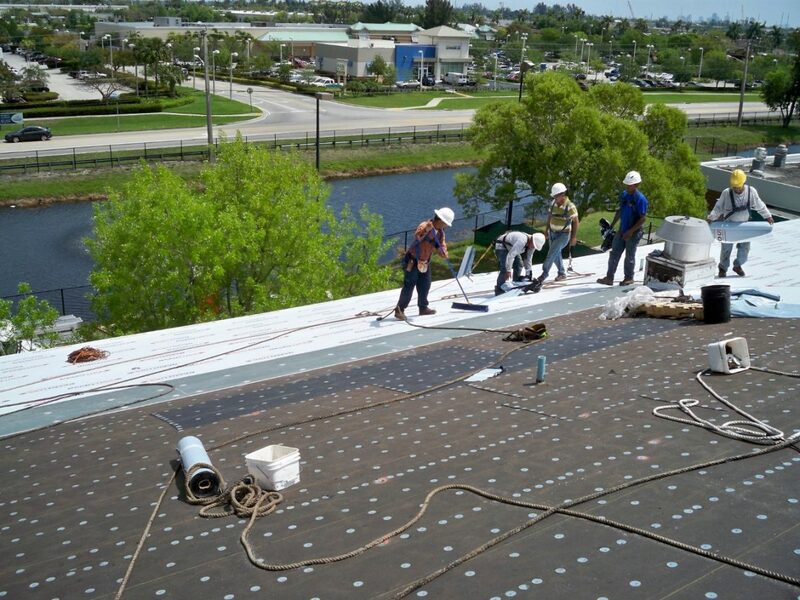 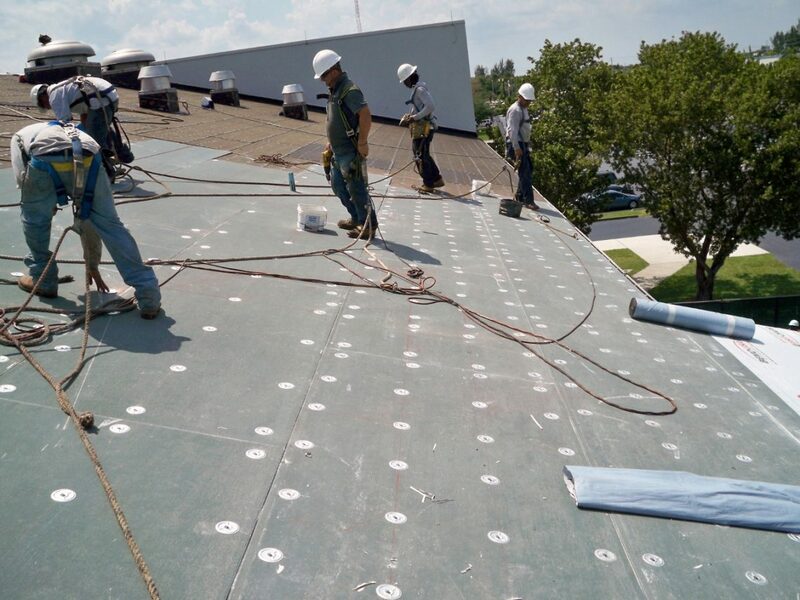 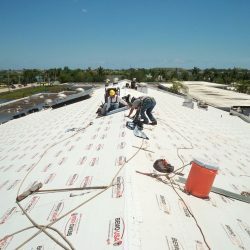 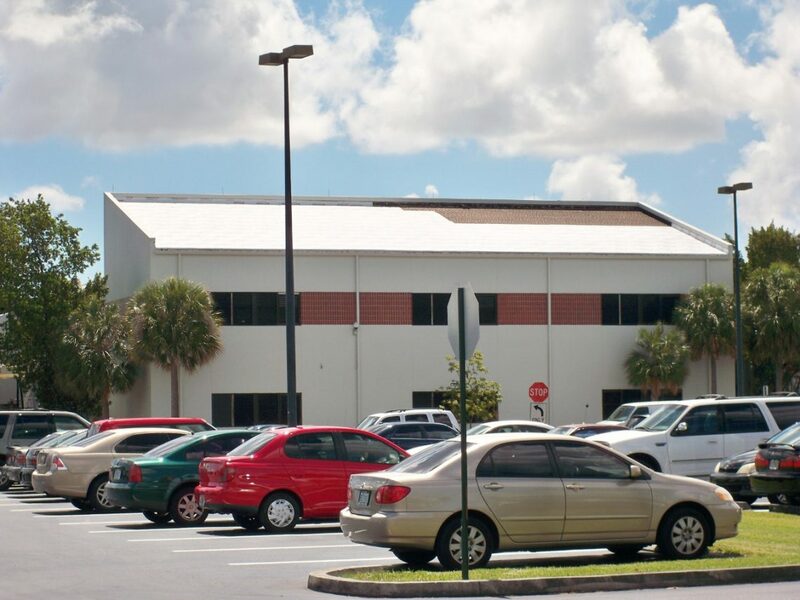 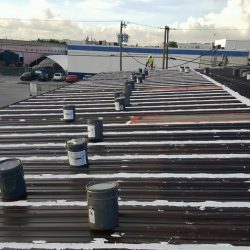 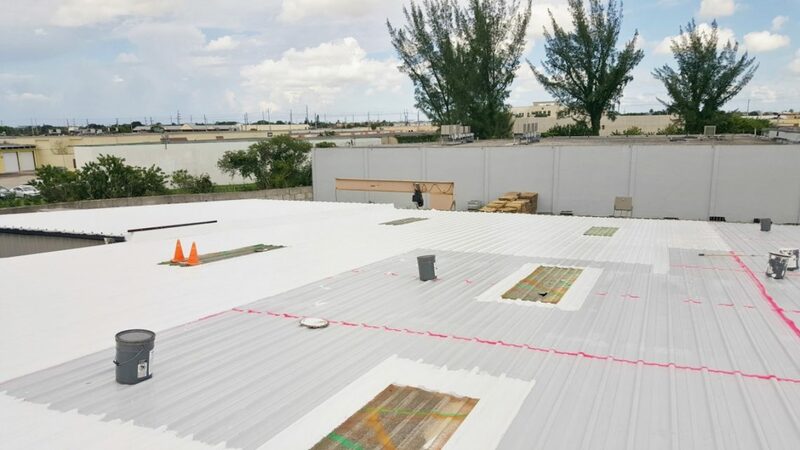 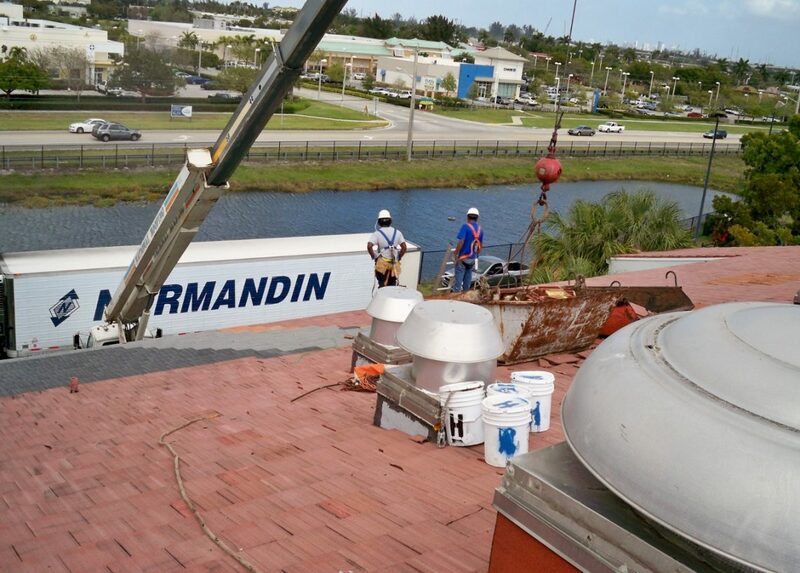 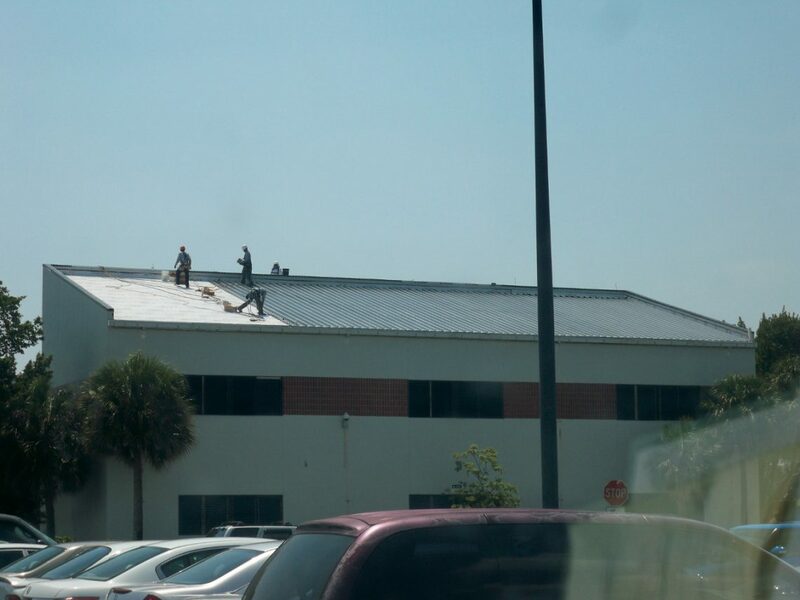 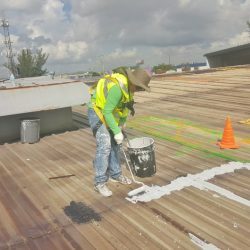 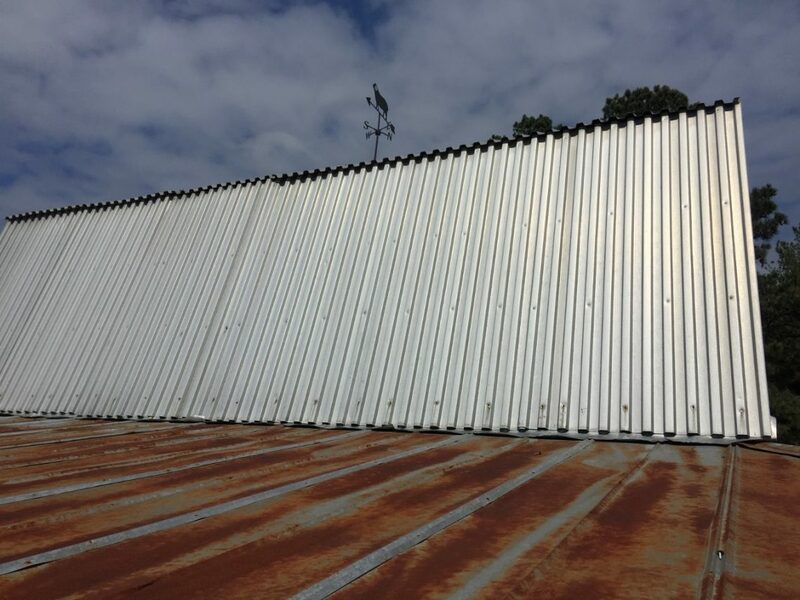 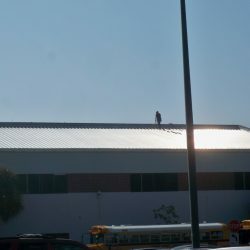 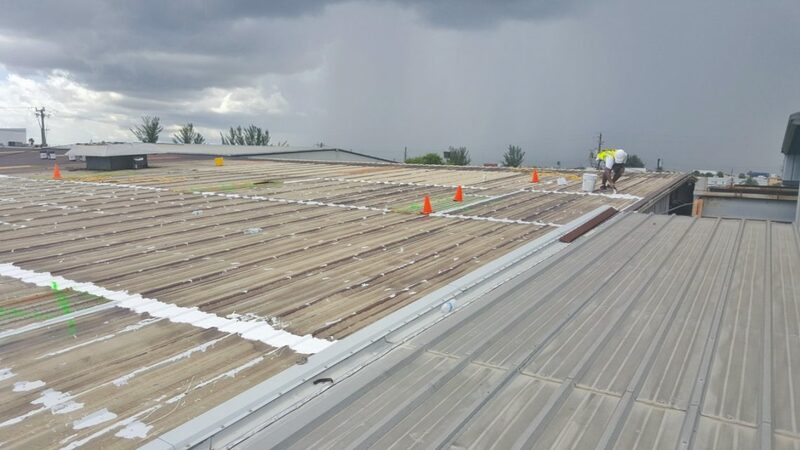 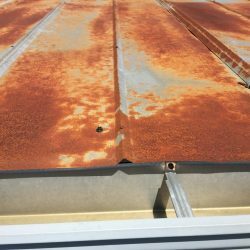 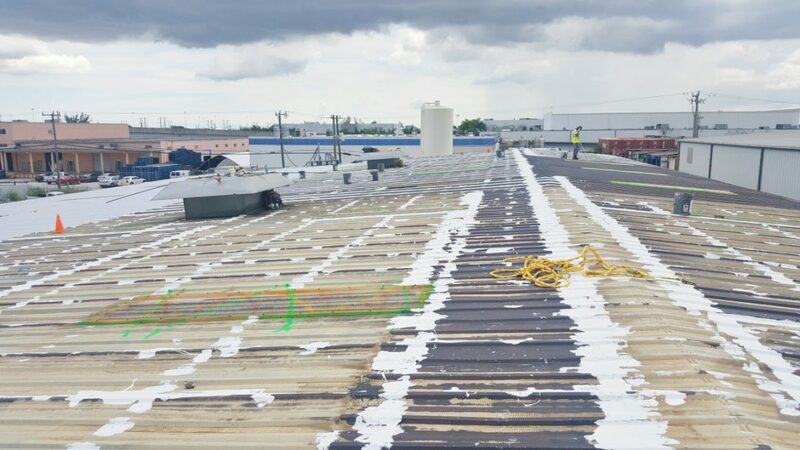 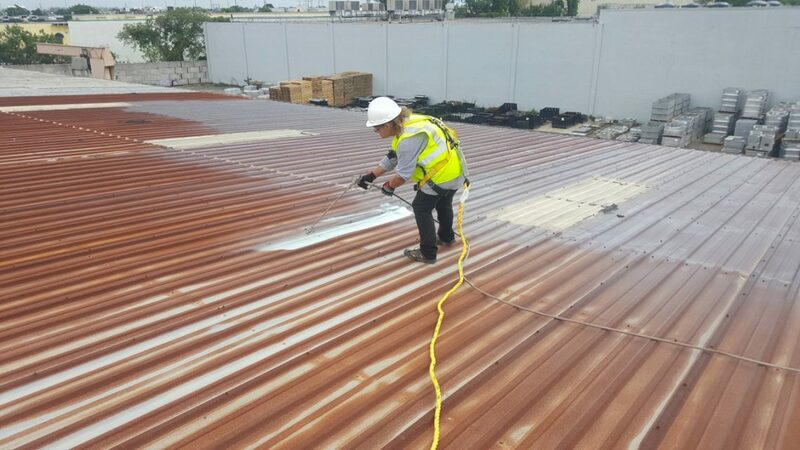 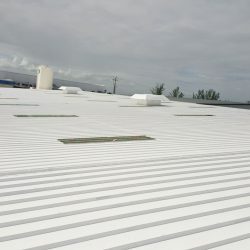 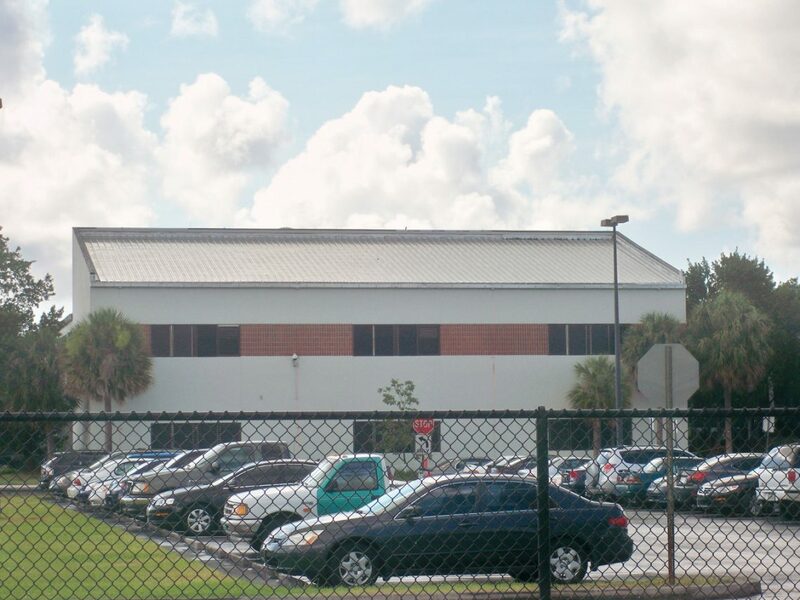 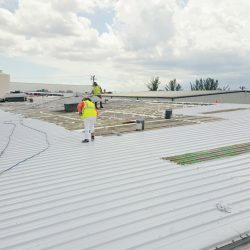 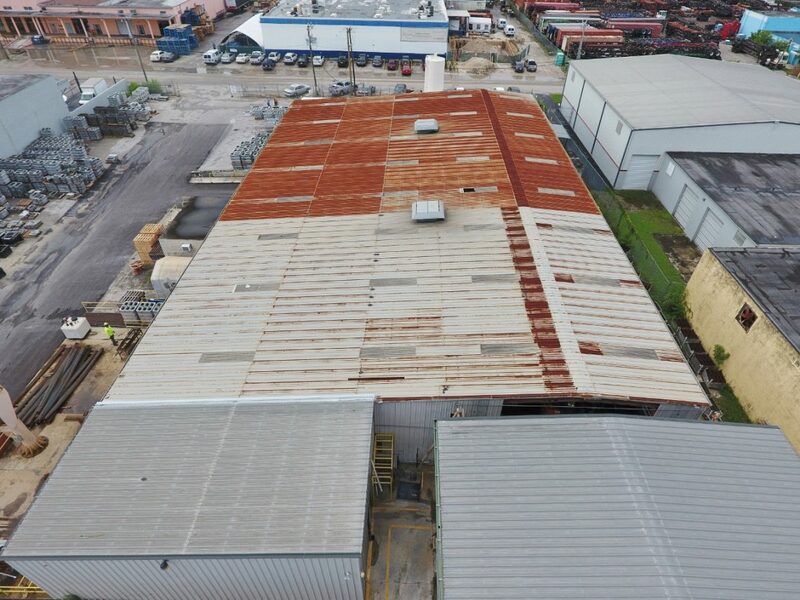 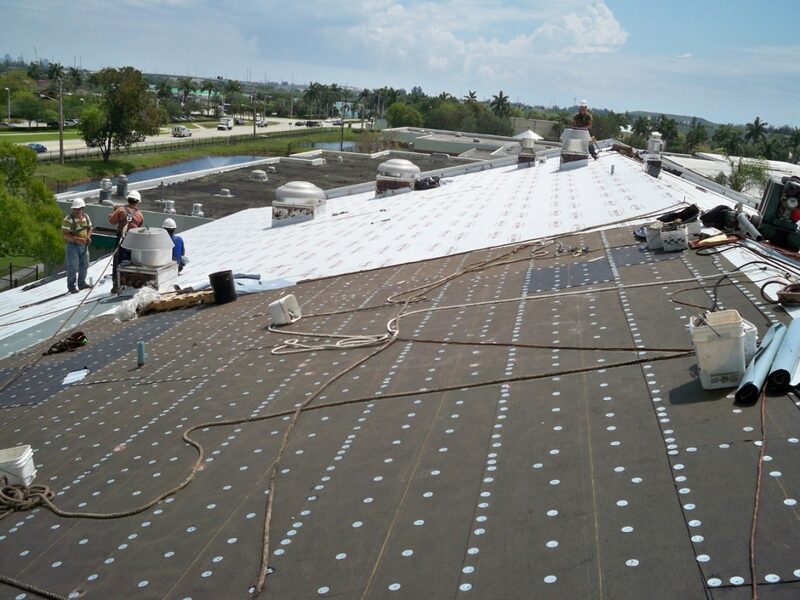 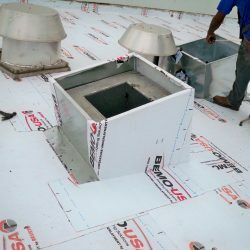 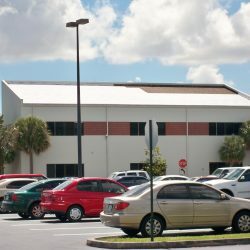 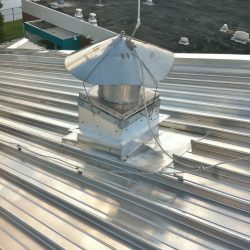 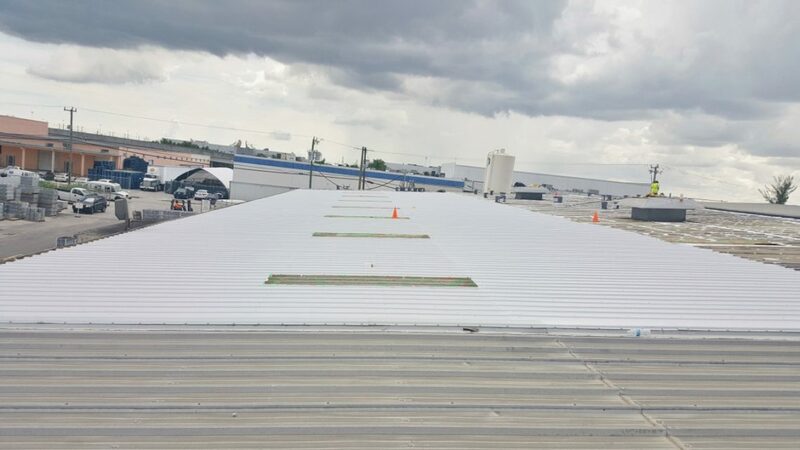 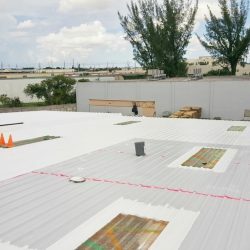 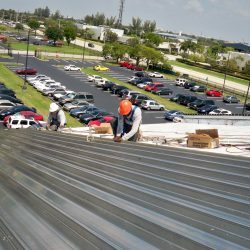 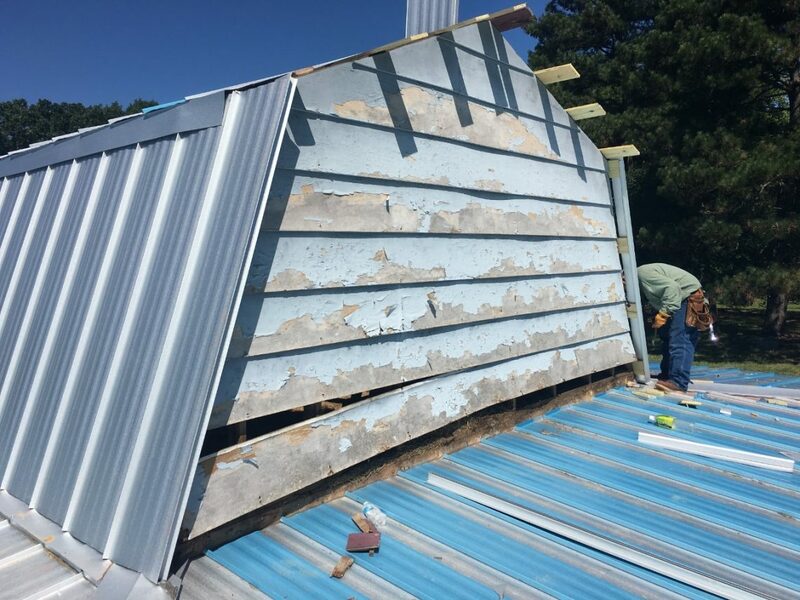 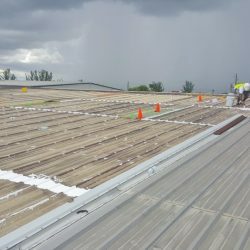 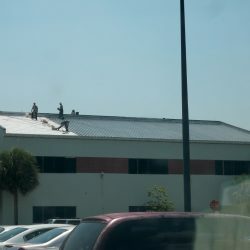 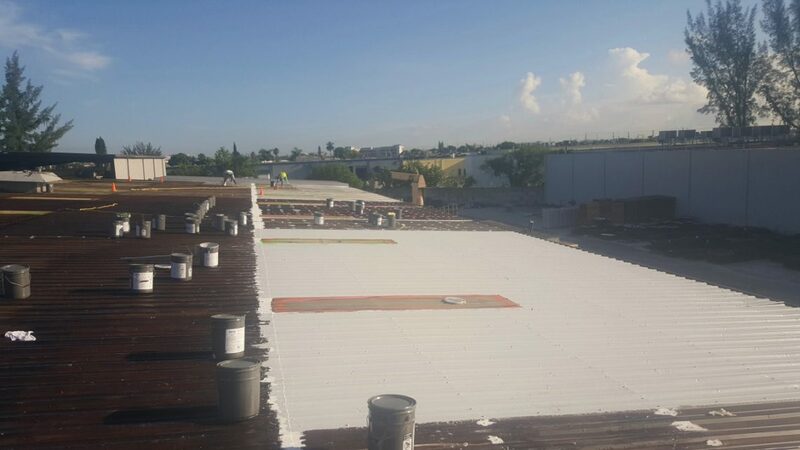 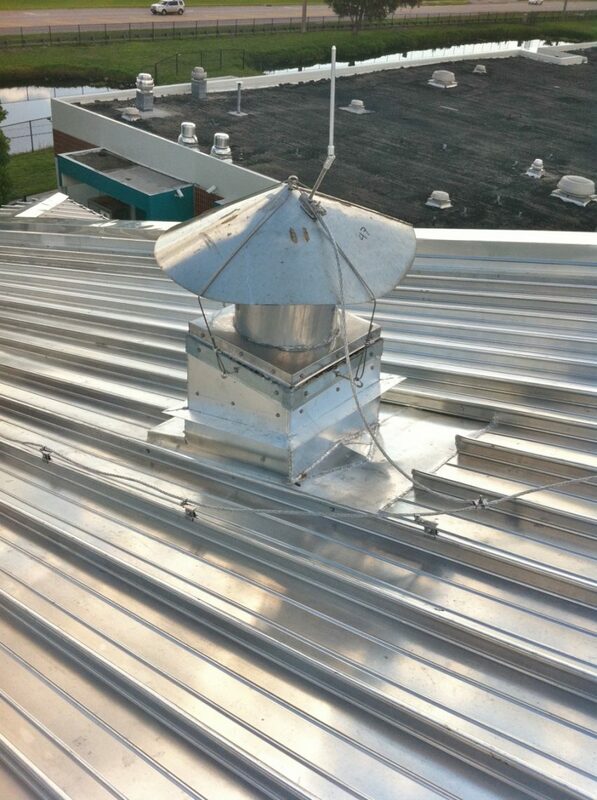 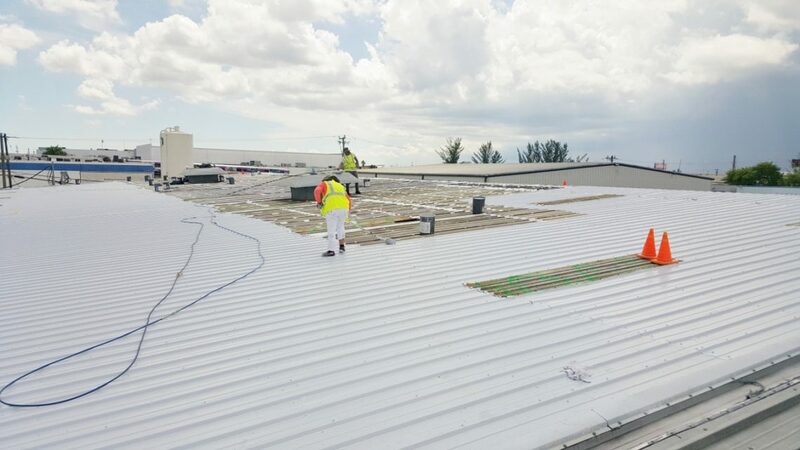 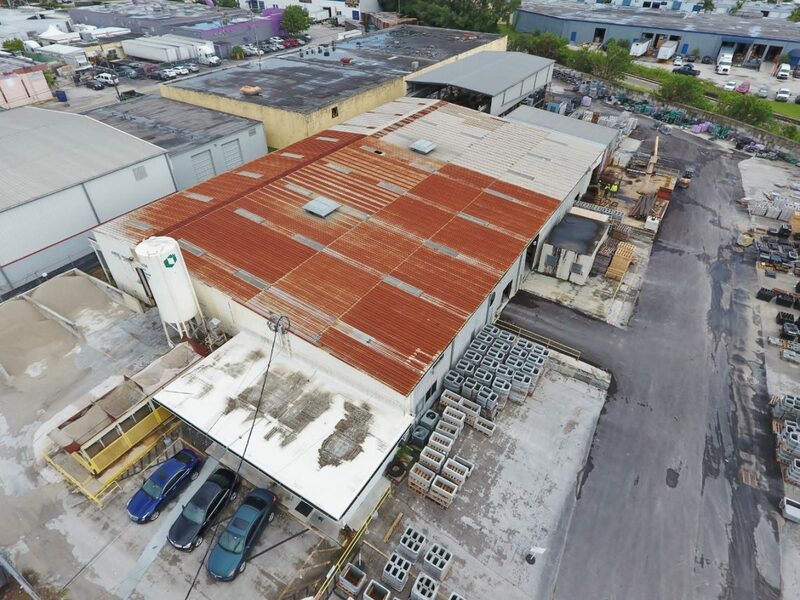 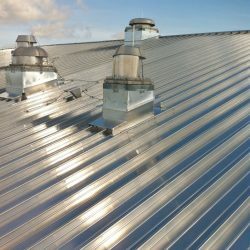 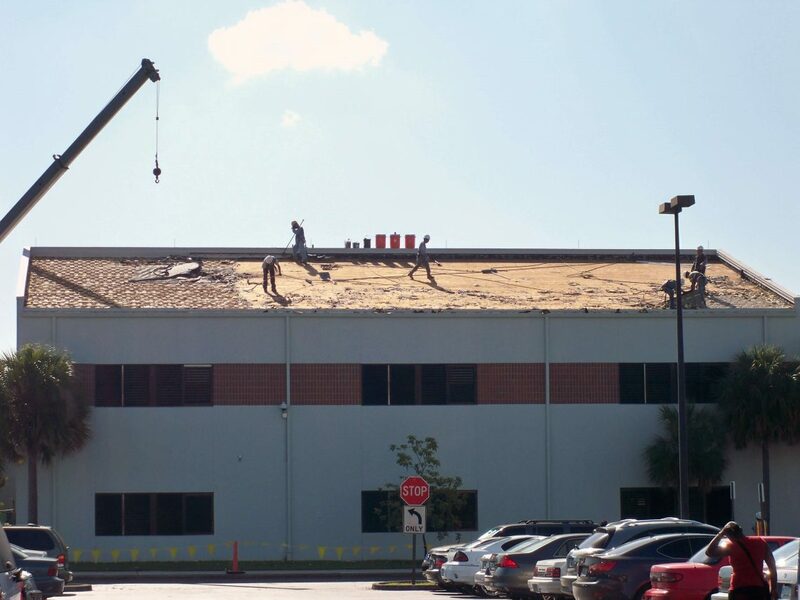 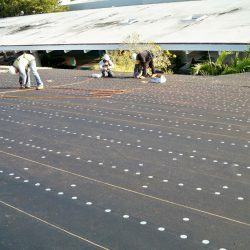 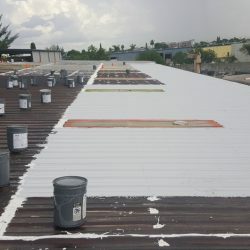 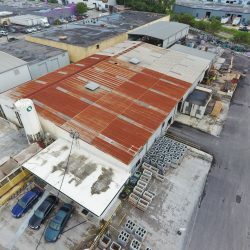 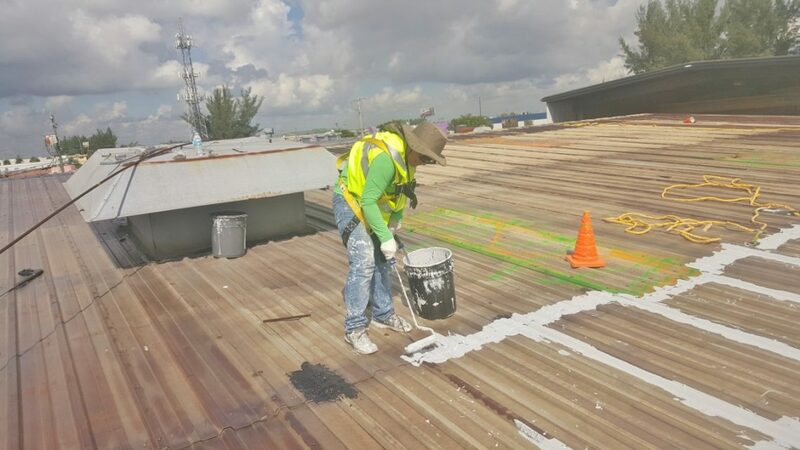 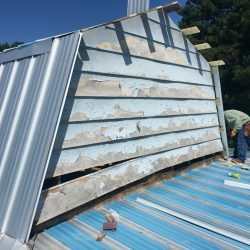 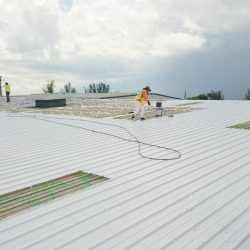 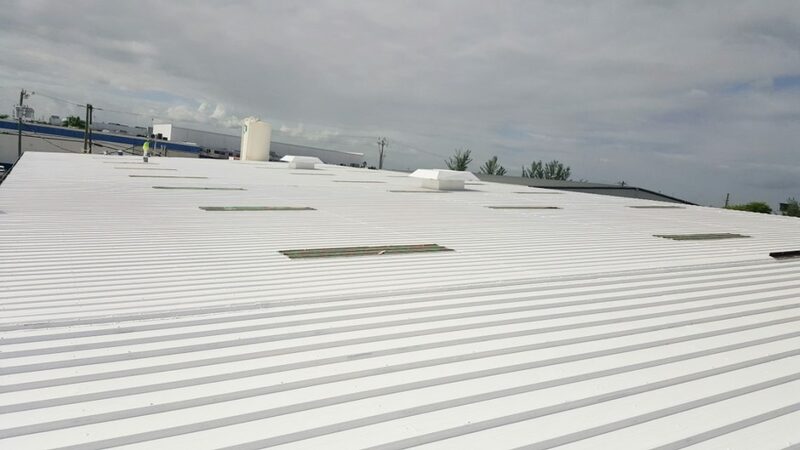 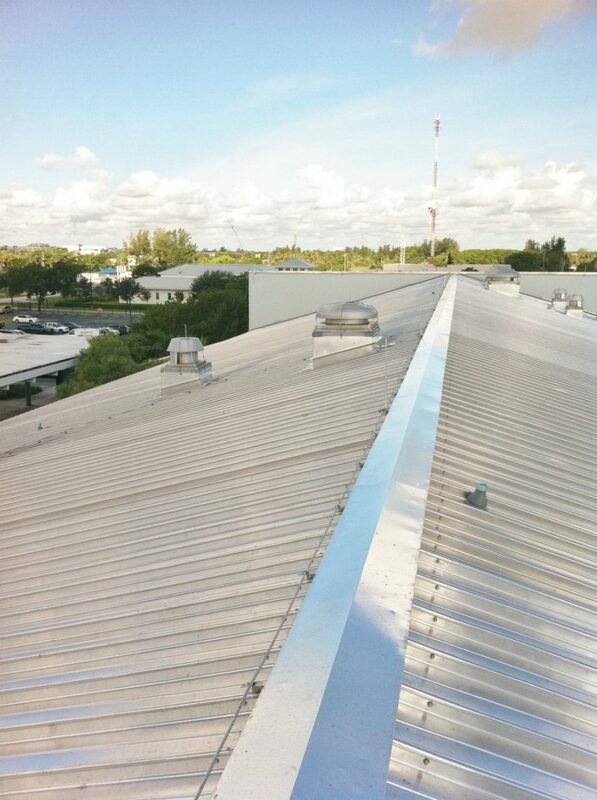 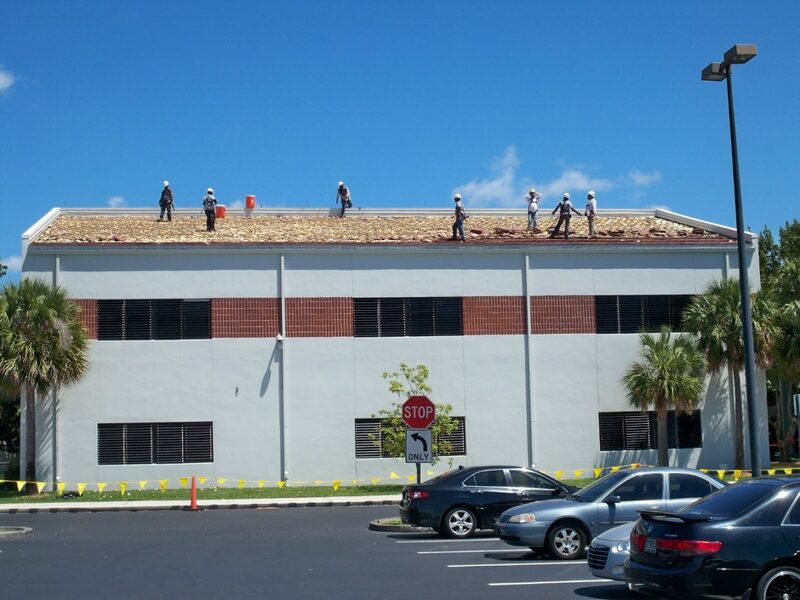 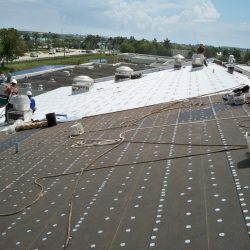 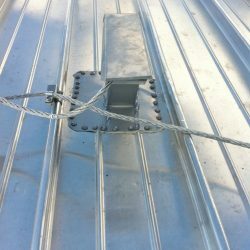 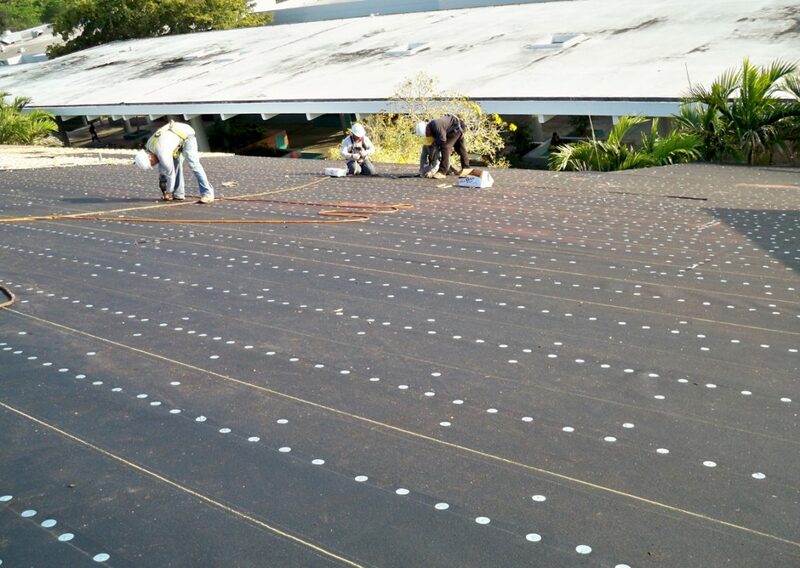 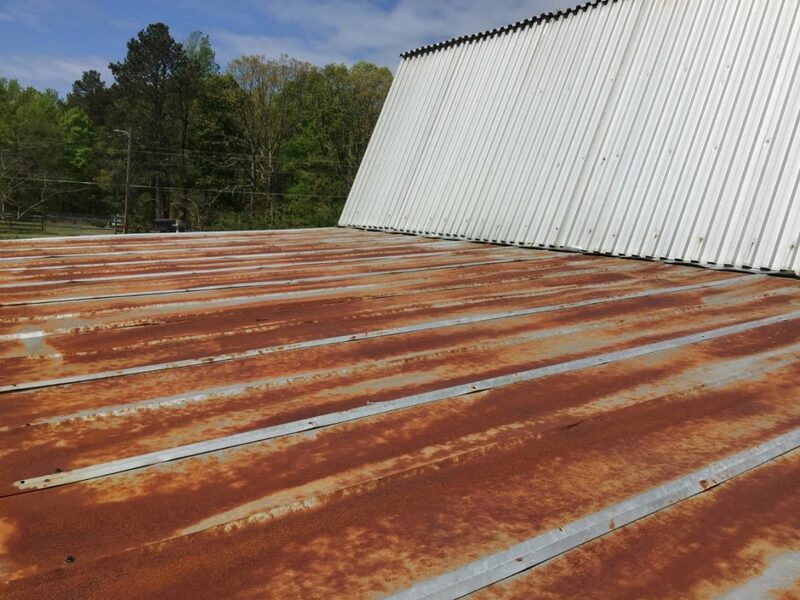 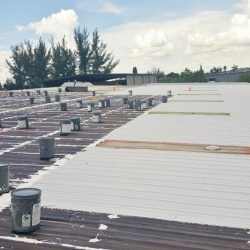 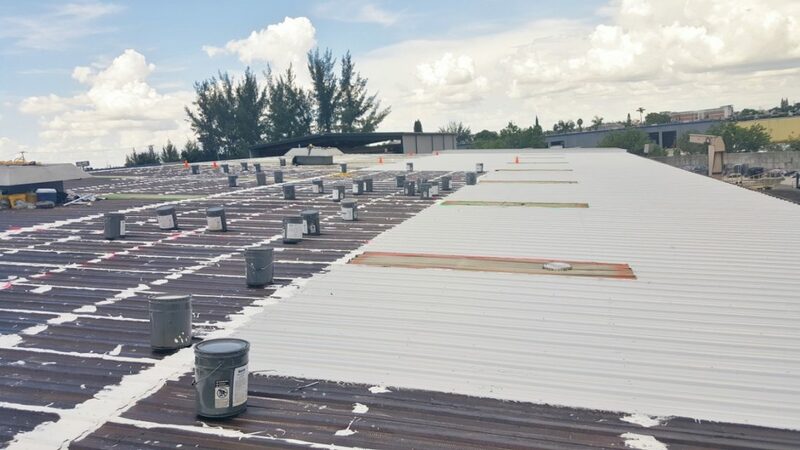 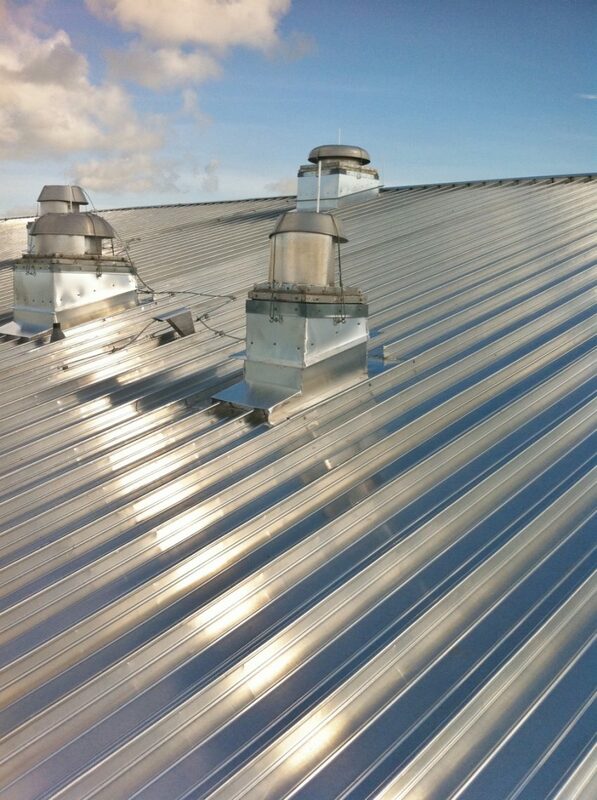 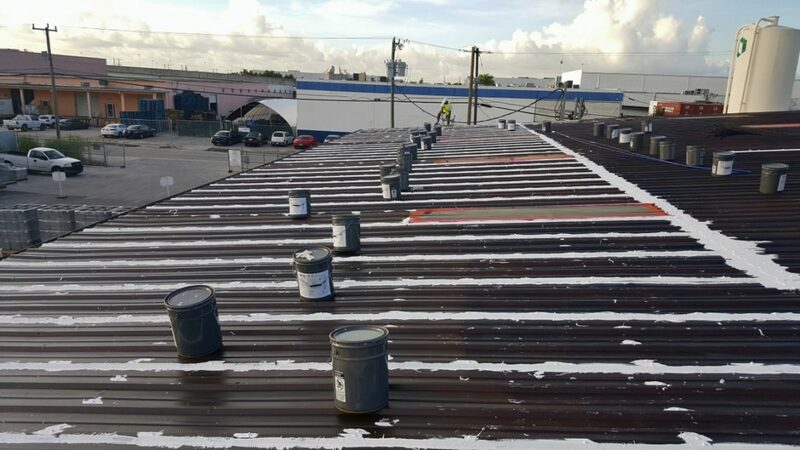 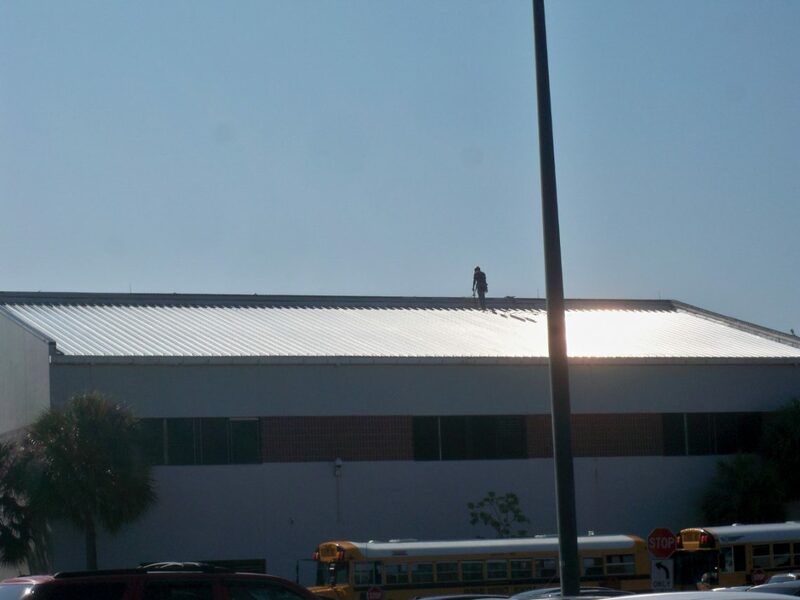 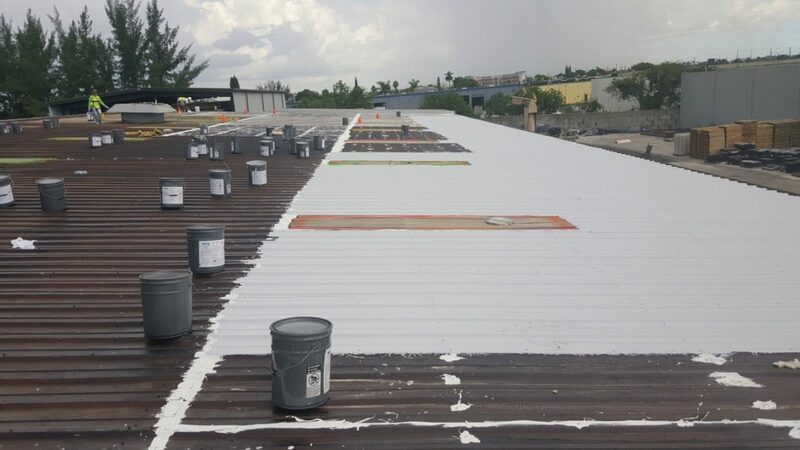 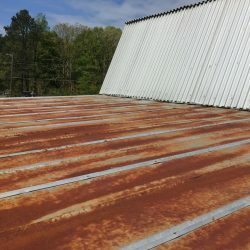 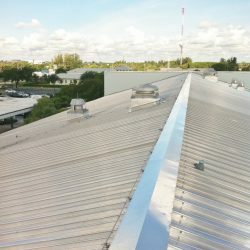 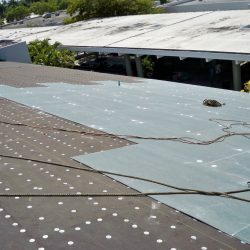 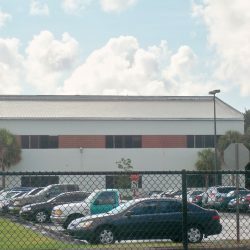 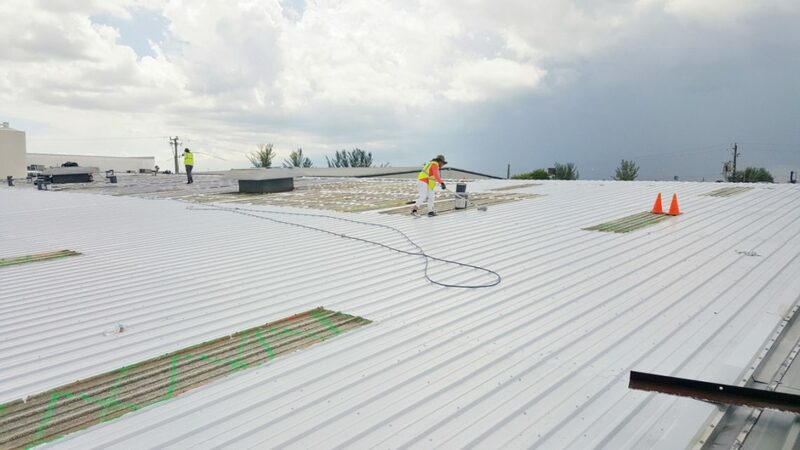 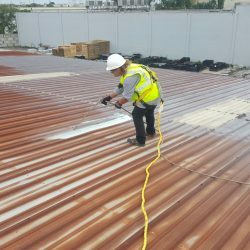 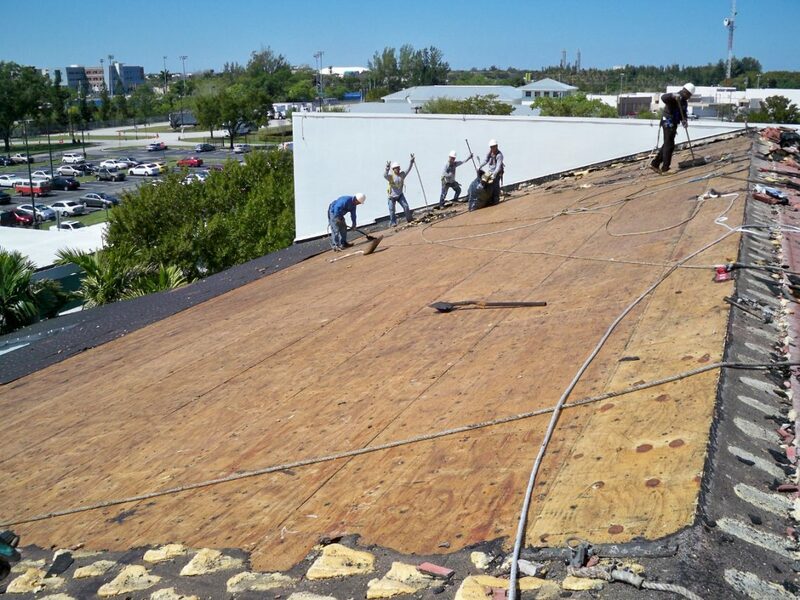 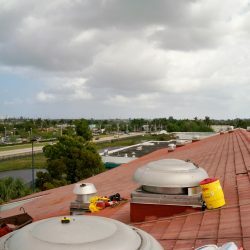 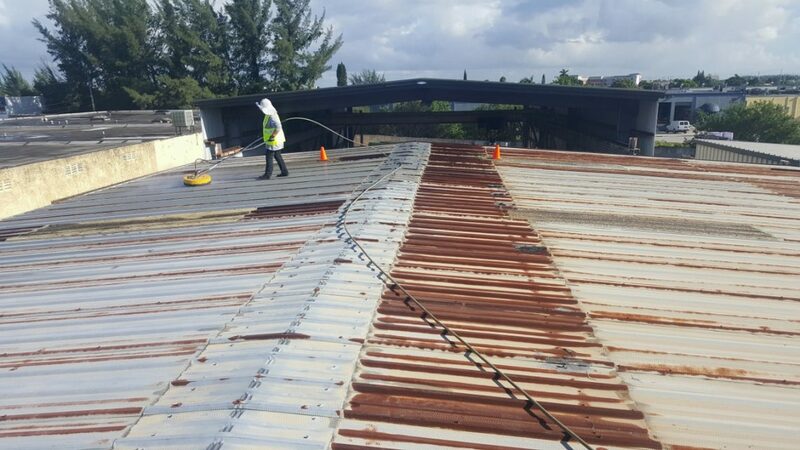 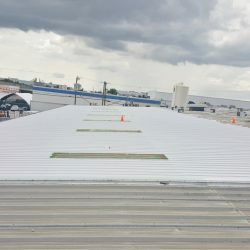 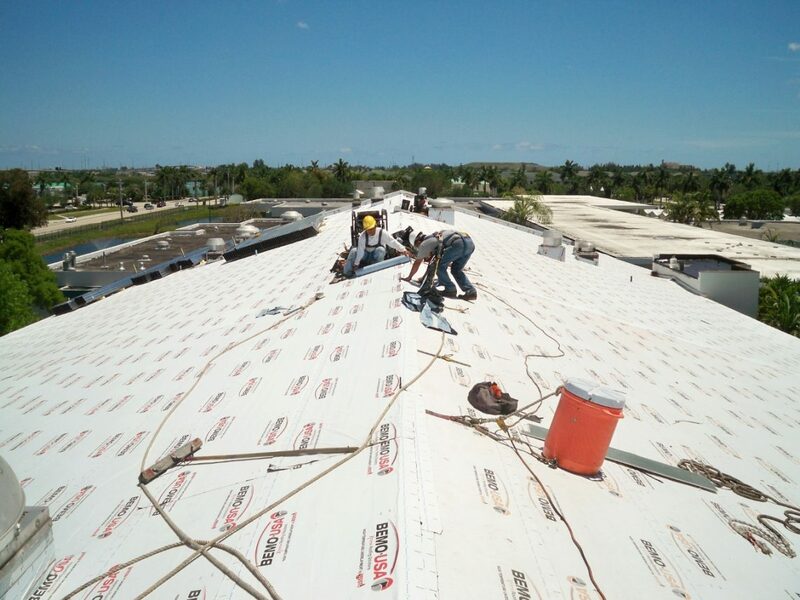 We were contracted to remove and replace all the metal roof panels with a new Metal Roofing System using Union Corrugating products. 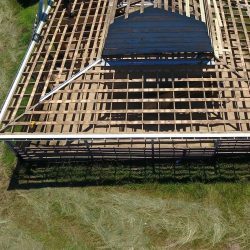 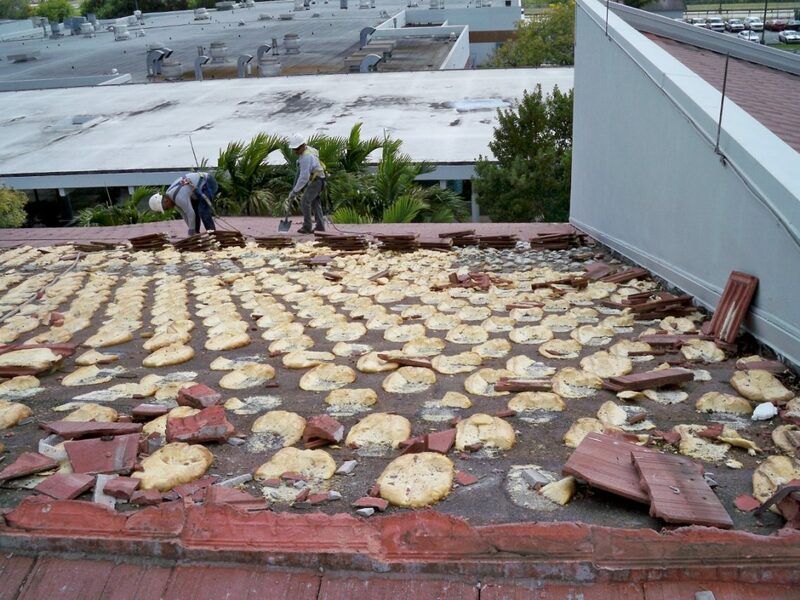 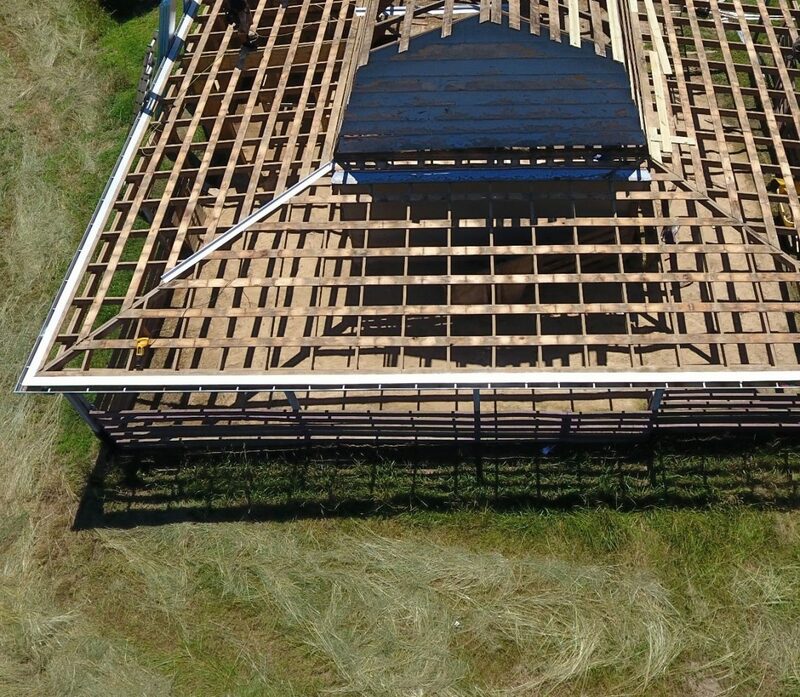 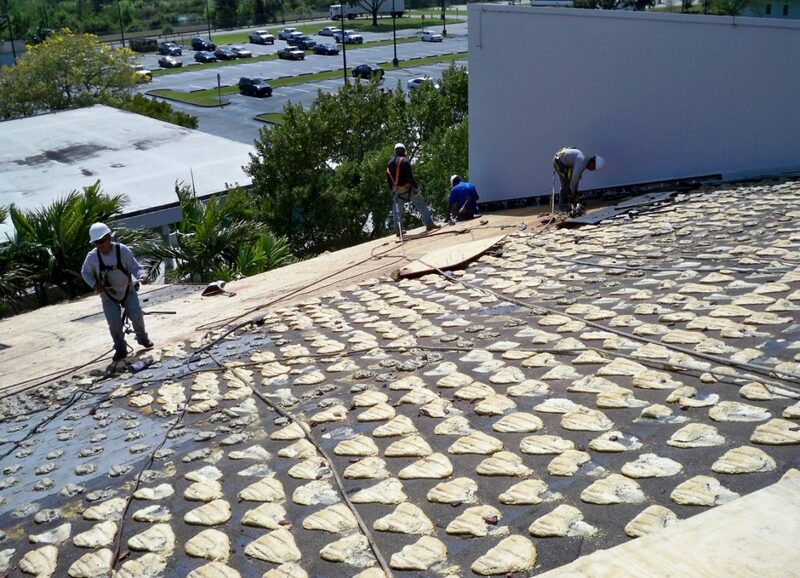 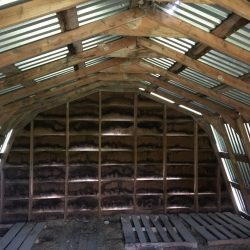 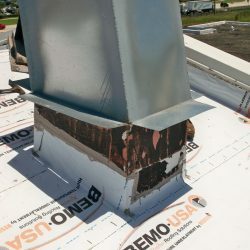 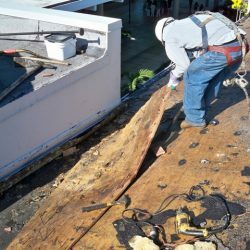 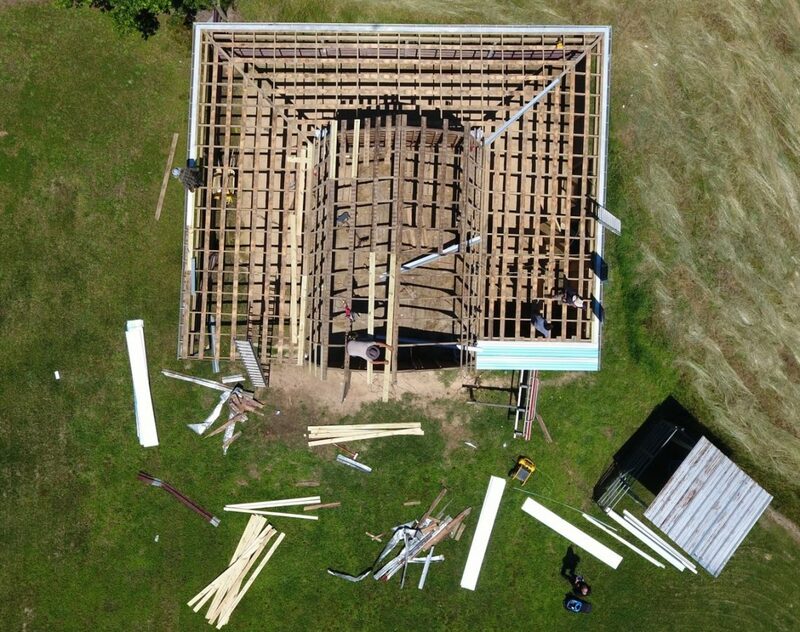 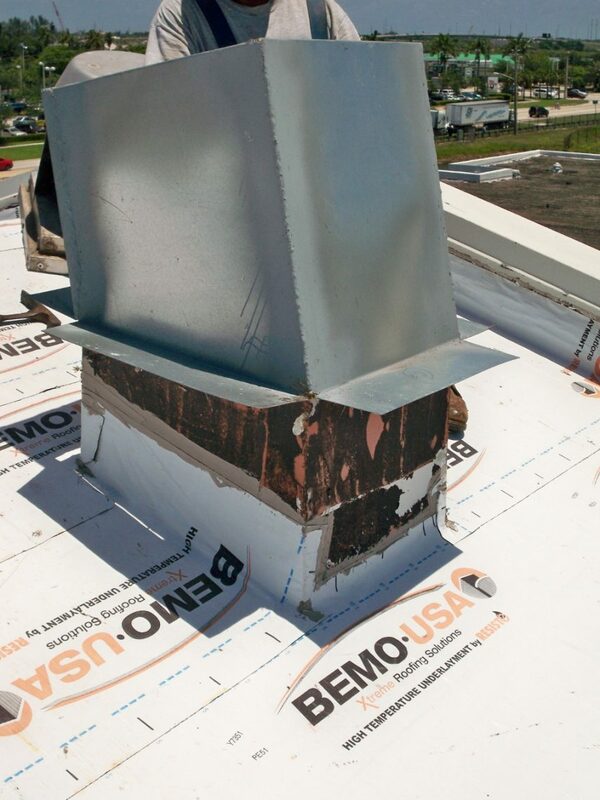 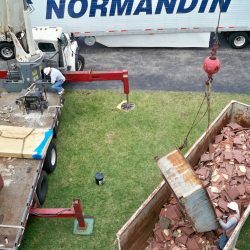 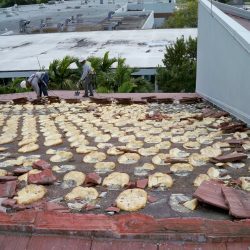 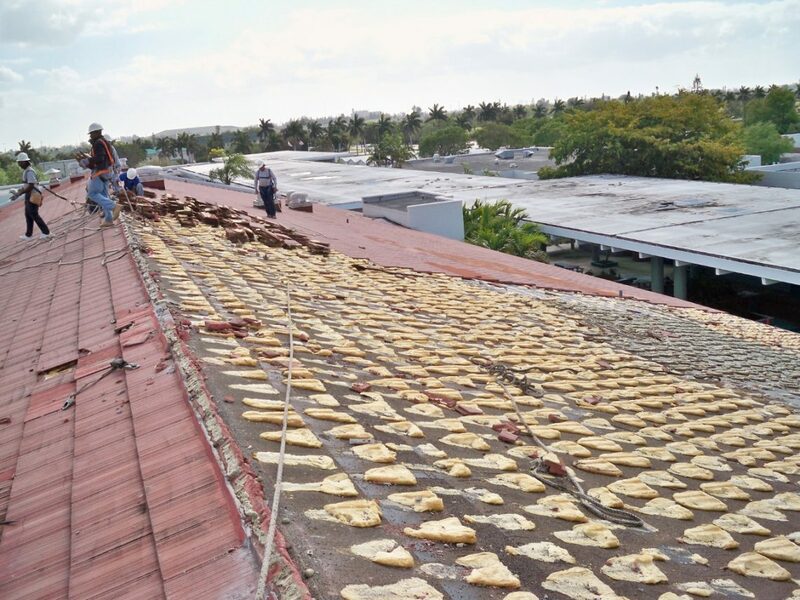 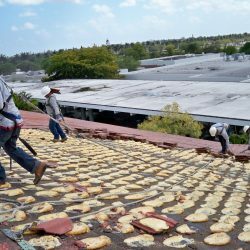 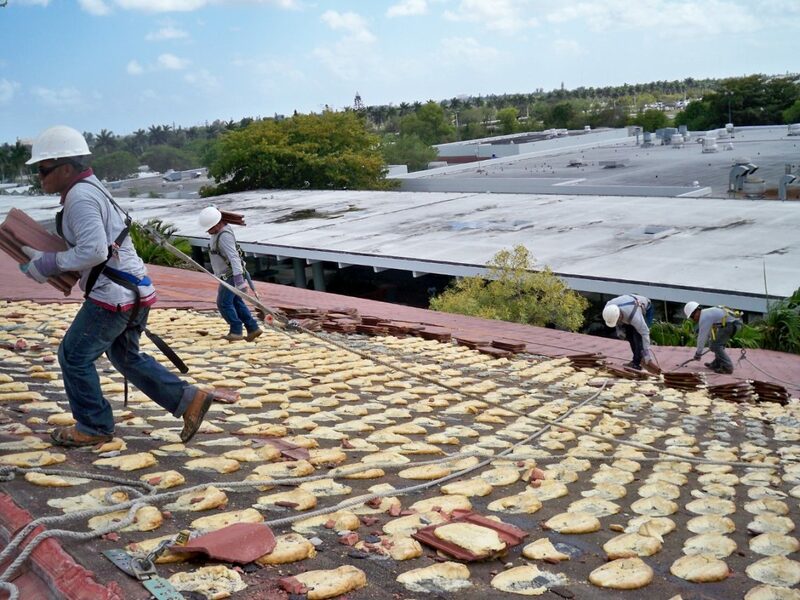 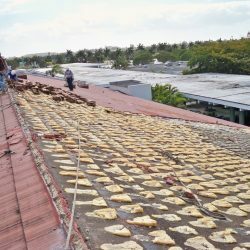 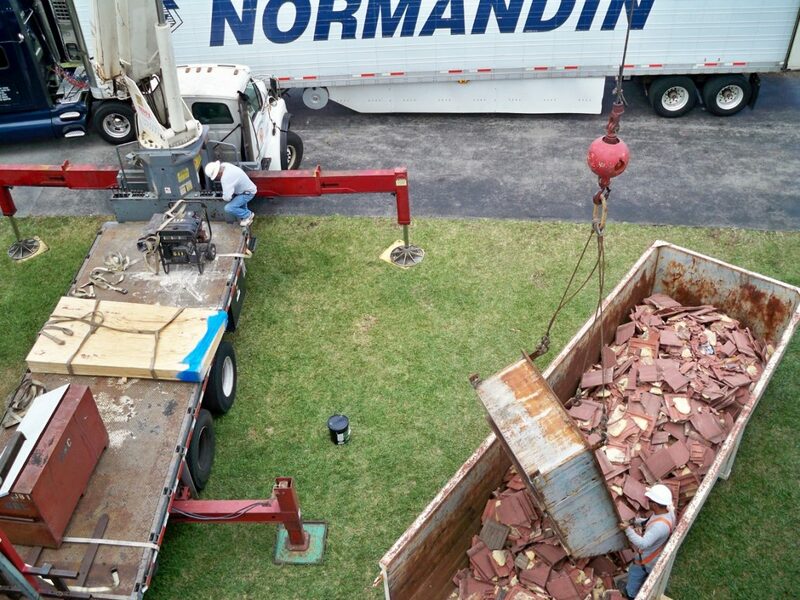 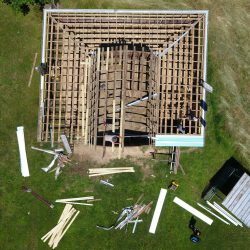 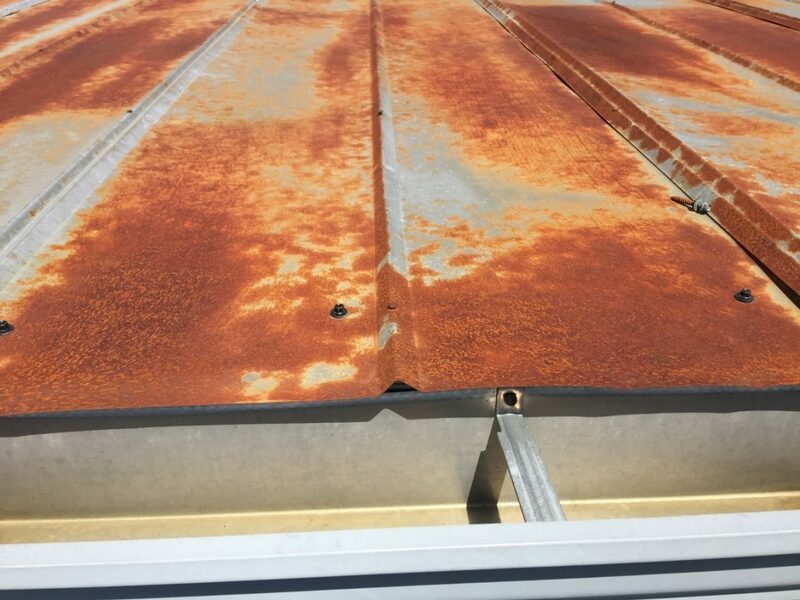 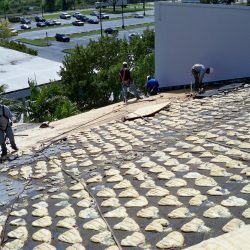 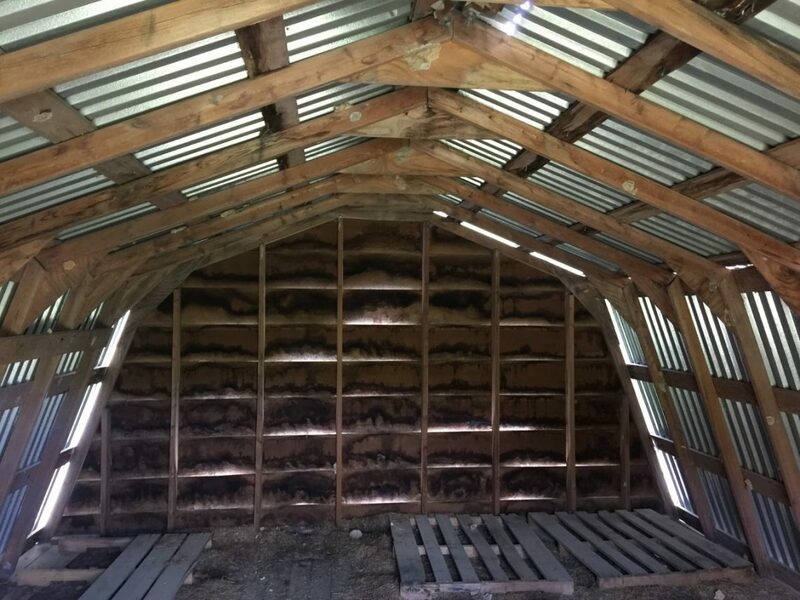 During the removal of the existing roof panels, we ended up encountering a significant amount of deteriorated supports that needed to be replaced. 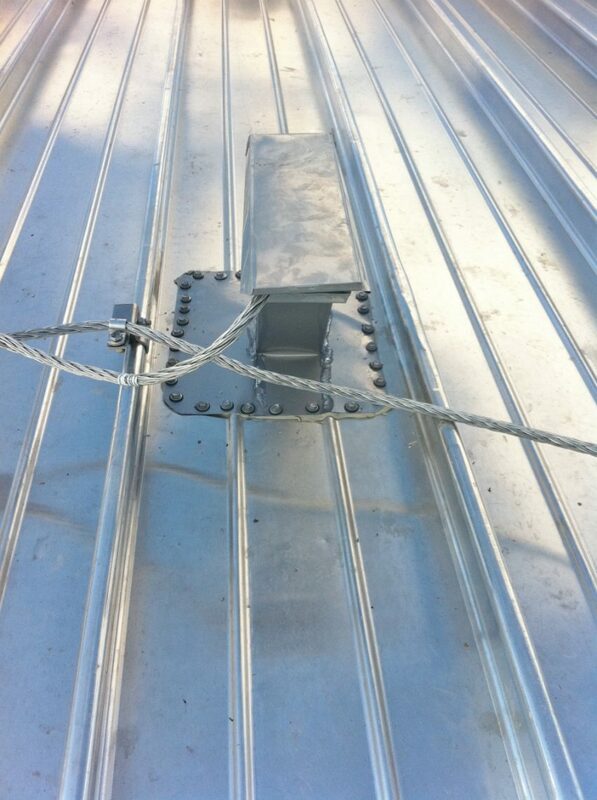 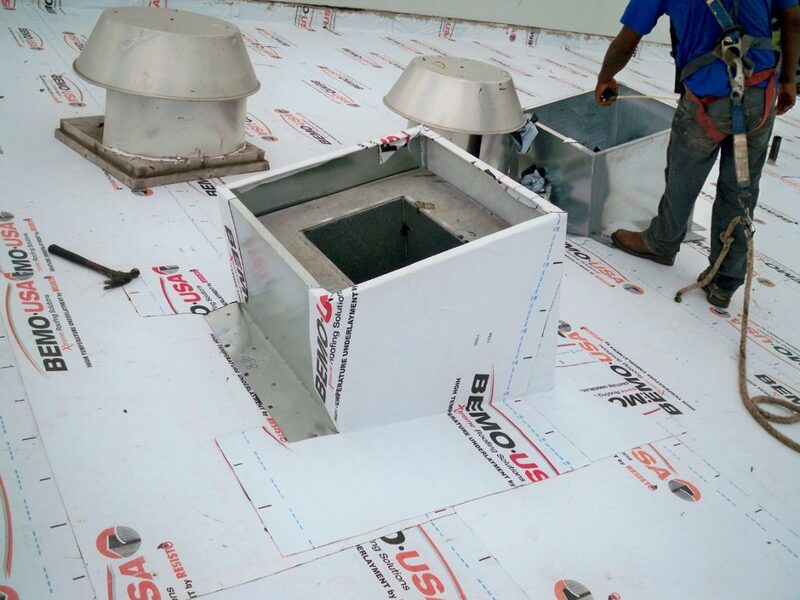 After rectifying the supports, we were able to fluidly install the panels, and flashings. 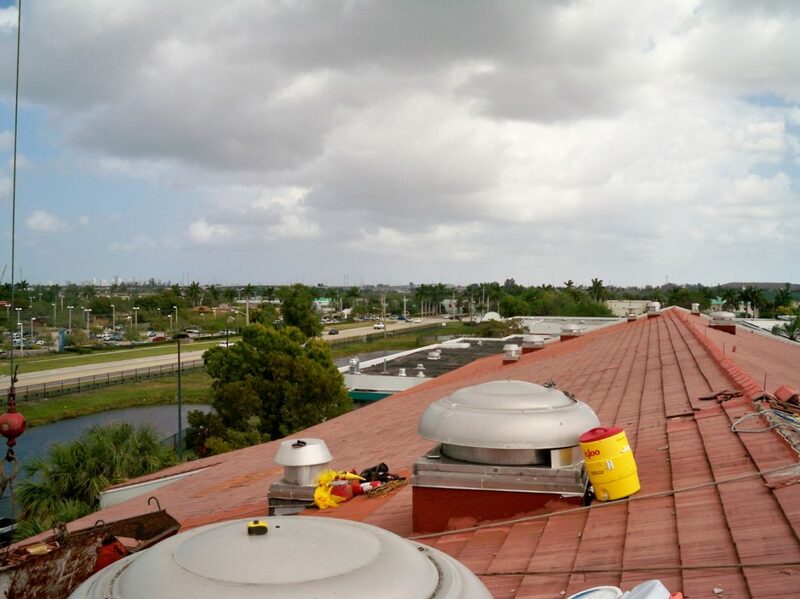 Special Challenge: Animals were intrigued and attracted the crew’s attention consistently! 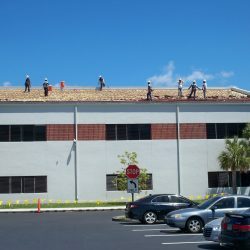 Nature of Work: Total Program Management Project. 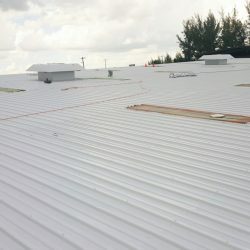 Project includes the design and construction of replacing the existing tile roofing system with a standing seam roofing system Construction phase include: remove and dispose of existing tile roofing system and replace with new .050 mill finish aluminum standing seam metal roofing system by BEMO USA including all related cover boards, underlayment, accessories, flashing and trim. 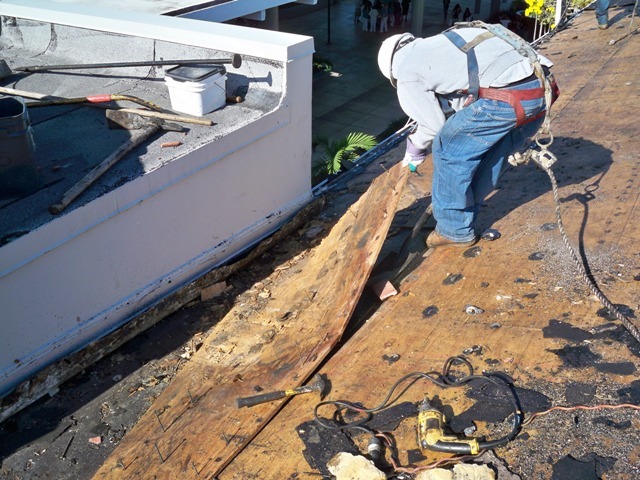 There was various areas of deteriorated decking that needed to be removed and replaced, as well as new crickets installed to ensure proper drainage.